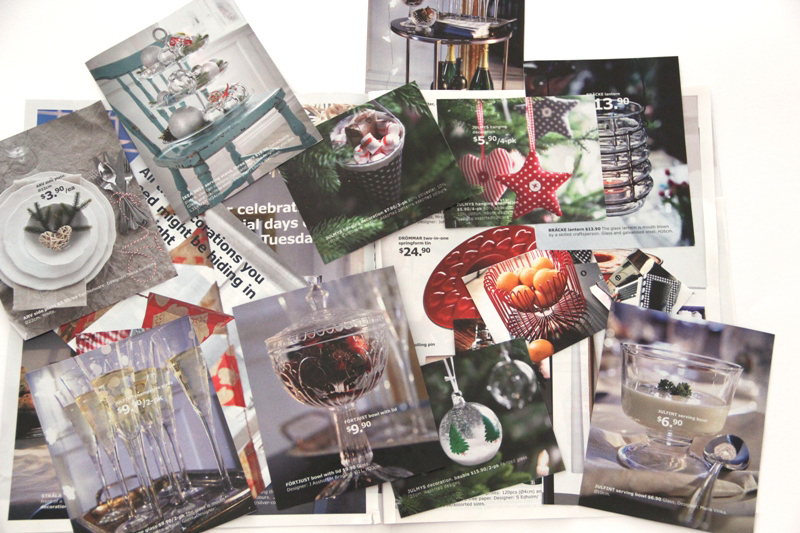 Christmas is near and your mailbox is stuffed with all sorts of promotion brochure/ catalogue. Are you planing to throw them away? You might want to keep one or two if not all, in case you need a nice thank you card after your great holiday stay at relatives'/ friends' house or received some very thoughtful gifts during the holiday. 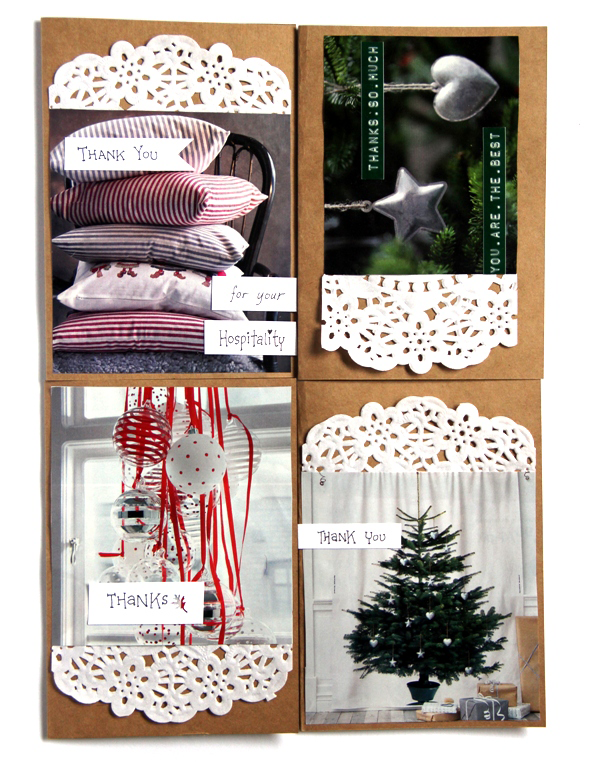 When Ikea gives you catalogue, make cards! I have never subscribed to any newsletter nor catalogue, except online. 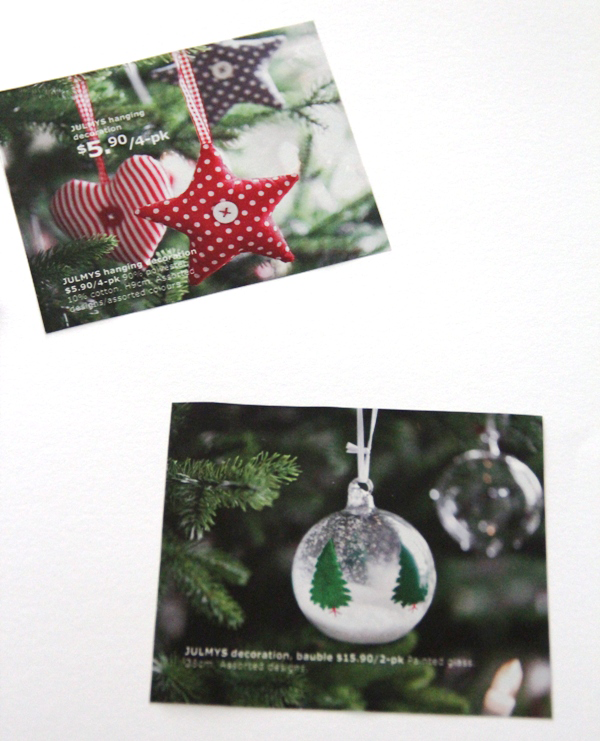 However, I received a Christmas catalogue from Ikea a few days ago, along with the 2013 catalogue. I saw a mailman stuffing the catalogues into all the mailboxes at my flat that day, so, I'm guessing that every home here in Singapore received them. Anyway, here's what I have. I cut out all the images I find useful in the catalogue. I do this practice since I was a little kid. I love the process when there's only the paper, scissors, rock and me. It's kind of relaxing because it keeps me focusing on making clean, tidy cuts and not think of anything else. Like any other catalogues, the images always have details and pricing on them. But most of the wordings on this catalogue are quite tiny and easy to work with. So, I pasted some scrap papers and ribbons from my previous projects on top of the wordings. 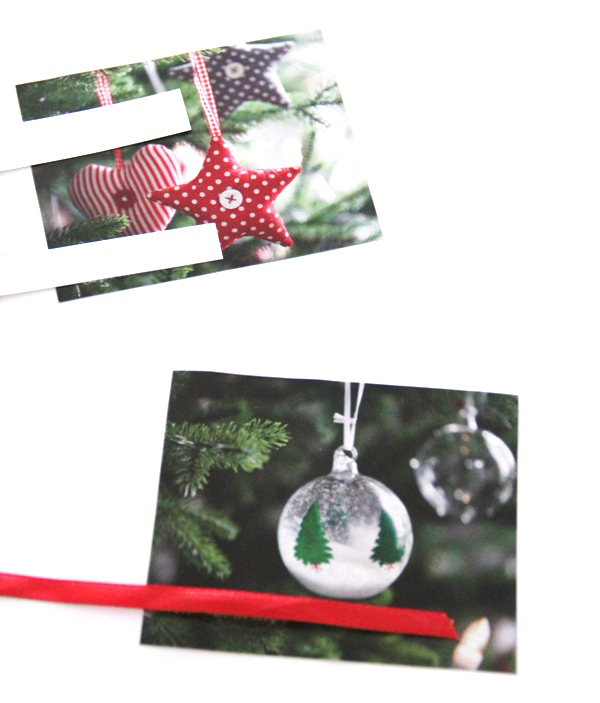 I wrote my own holiday wishes on the paper strips, trimmed off the excess and the images are ready to be used. 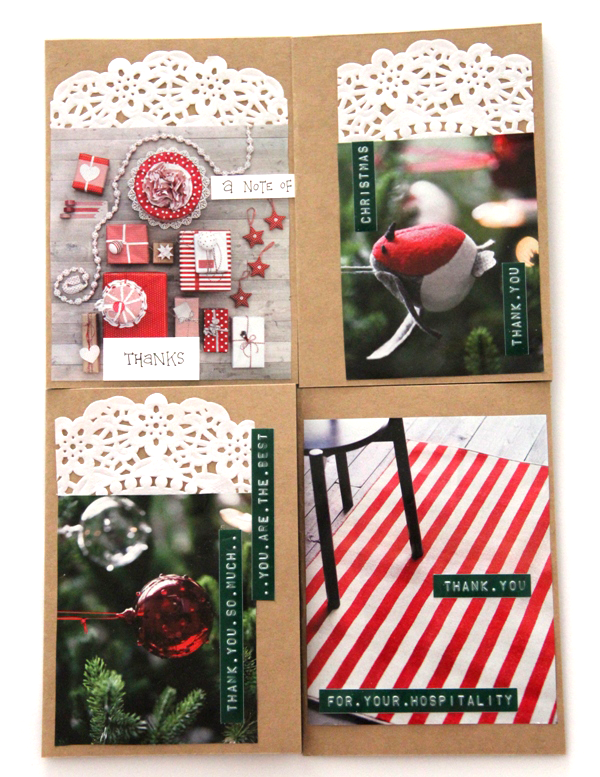 After having my 275gsm Kraft card stock ready, I started arranging the card layout and played around with the embellishment. I find it more difficult to work with upcycled materials compared to all those pretty scrapooking papers - materials come in all kind of sizes and shapes, different color tones, inconsistency of thickness etc. And the most challenging part, for me, is to avoid the upcycling projects from heading to some unwanted-things-thrown-together-crappy results. Because of that, I like to decorate with paper doily, ribbons and buttons to give it a touch of elegance. Thanks, Anna. I'm glad you like it. Have you figure out how to work the Etsy Mini? What a CUTE idea! I'm going to have to pin this to remember at a craft party! Thank you so much! I'm your newest follower from the Etsy Success Team! That is genius. Wish I saw this before the holidays. 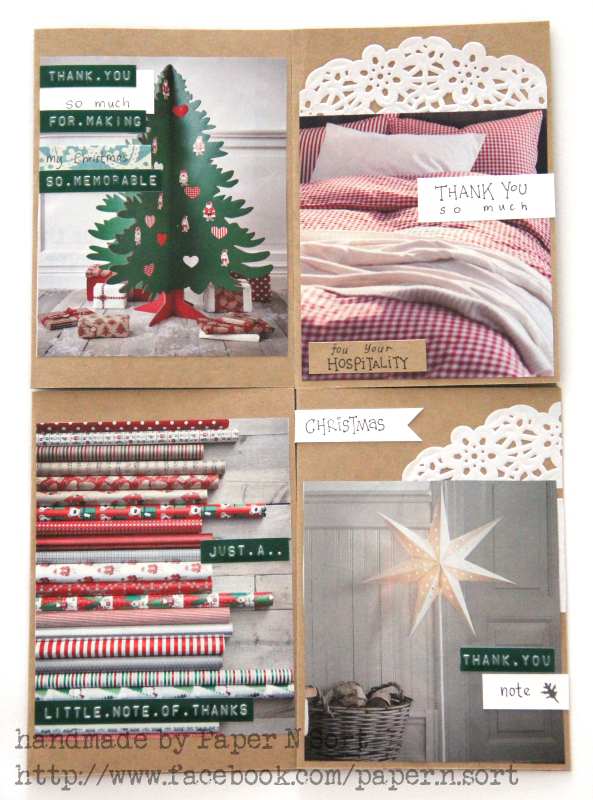 Hmmmm I'm thinking after Christmas card! My name is Huey. Thank you for stopping by.